If you receive an item that is not exactly as described on our ebay auction web-page(s) you may return it for a refund of the purchase price within seven days of delivery, provided the mis-representation makes a serious impact to the value of the item. Purchaser pays all actual shipping, handling and insurance charges to return it. Arrangements must be made in advance and items must be returned and received by me in the condition sent, for a refund. If it's something that can be seen in the auction picture(s), that does not qualify as a valid reason for return. I do my best to research and authenticate all items placed for sale. The text in some cases might be incorrect and I apologize for this, I certainly cannot be an expert on everything. I am a beginning clockmaker and my ability to describe is based upon those things that I have learned. The pictures, however, will certainly say a lot more than the text. I go through a lot of work to include 15-25 detailed pictures of each item I sell, and I try to show the good as well as the bad. Please read the text, and examine the pictures carefully, if you click on a thumbnail, it will bring that photo in much greater detail. If there's something that you need to see in more detail or that is not included, email me and I will get you the picture you ask for. If you have a question, I will do my best to answer it , or give you an honest "I don't know" or "I can't tell". Please ask before bidding , as bidding constitutes your acceptance of having seen the description and the pictures , being satisfied that you have the information necessary to make a properly informed buying decision, not having any questions to ask, and accepting this policy. Please keep in mind that if you ask a question in the final hours of the auction, I may not be able to get an answer to you in time. Measurements, of course, are approximate. Purchaser pays all actual packing, shipping, handling and insurance charges. Shipping and packing is not done by me but by a company that I have shipped many items through in the past. You pay them directly and they do take credit cards (but only for the packing and shipping costs). You will work with them to insure that it packed, shipped and delivered in the manner of your choice. Insurance is required on all items I sell. I cannot be responsible for items after they have left my possession. Shipping is from Seattle WA zip 98008 and we usually use UPS ground. On smaller items other than clocks - it may be simple enough just to put it in a priority mail envelope and you would pay me directly. For packing Costs: As a rule of thumb on Vienna Regulator wall clocks, allow $10 per 12 inches. For example, a 4 foot (48") clock would cost around $40 to have it professionally packed. Naturally, this is just a guide, and your clock may cost less or more depending on circumstances, complexity and size. Clocks of exceptional value or weight must be crated and this requires a different company to do it. 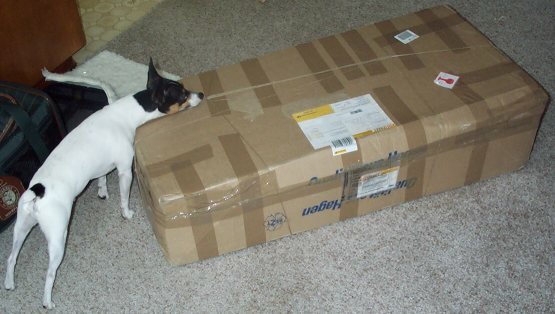 Why do you want your clock professionally packed? I would say 1/2 of all the clocks shipped to me have some damage, I would say 1/8 have serious damage and 1 in 20 are damaged beyond use. I have several clocks in my garage that I would gladly have paid an extra $40 to avoid having the 'future reconstruction project' I will be facing. "Professionally packed" also means that in the unlikely event of damage, there's none of that "It wasn't adequately packed so we won't pay the claim" game that I've learned that some carriers like to play. The packer will stand behind the job he does. 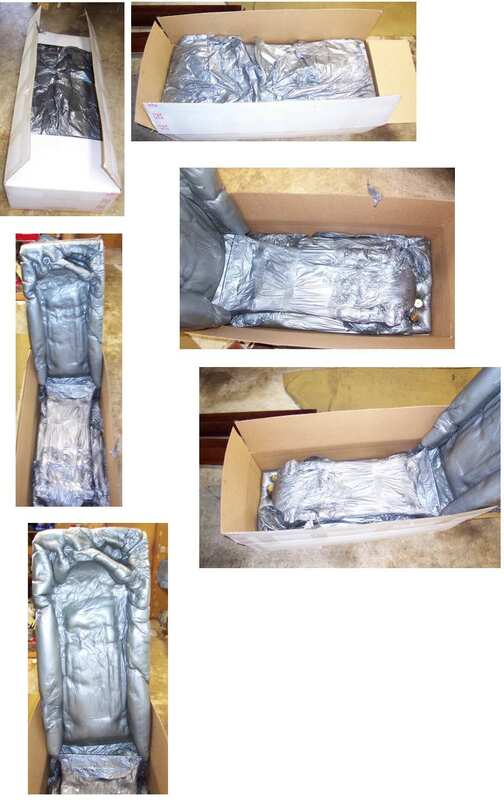 Click here to see an example of how these clocks are professionally packed in foam for shipping. Click here to see six disasters that arrived at my house ! Click here to see Packing "Lessons Learned" by Dean ! I accept: Personal Check (with time allowed for checks to clear my bank.) , Money Order, & Wire-transfer. I do not normally accept Bidpay & Paypal. However, I will consider accepting Bidpay or Paypal under certain conditions, email in advance for details (the conditions are the buyer pays any paypal/bidpay fees I would incur, usually 3.5%, but acceptance must be agreed upon in advance). I have over 70 satisfied ebay customers as DMKDMK so I must be doing something right. I will strive to insure that at the end of the day, you are among them.